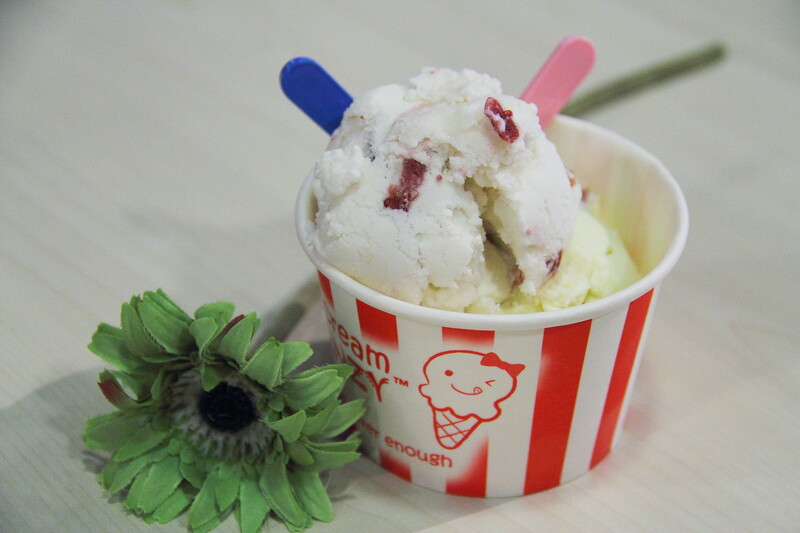 After browsing and tasting the different flavours that is available, we decided to try the Soursop with Cranberry and Super XO Durian (Single scoop $4.50, Double scoop $8). There is an additional one dollar charge for special flavour and toppings. The Soursop with Cranberry tasted better than the Super XO Durian. 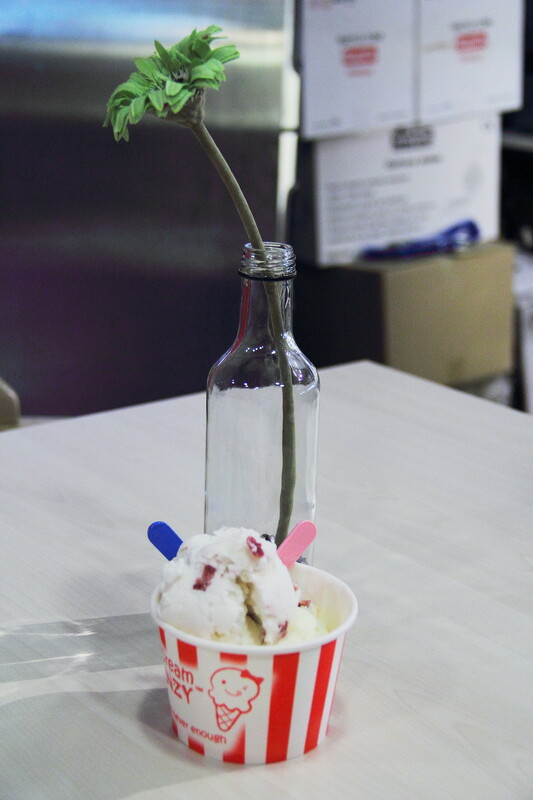 The soursop with cranberry was light and refreshing with surprises of soursop flesh. While the flavour was acceptable, the texture could have been more creamy and smooth. I have to confess that I went for the Super XO durian because of its name. The durian flavour was so artificial. In short I felt like I was served pontong ice cream and charged premium price. 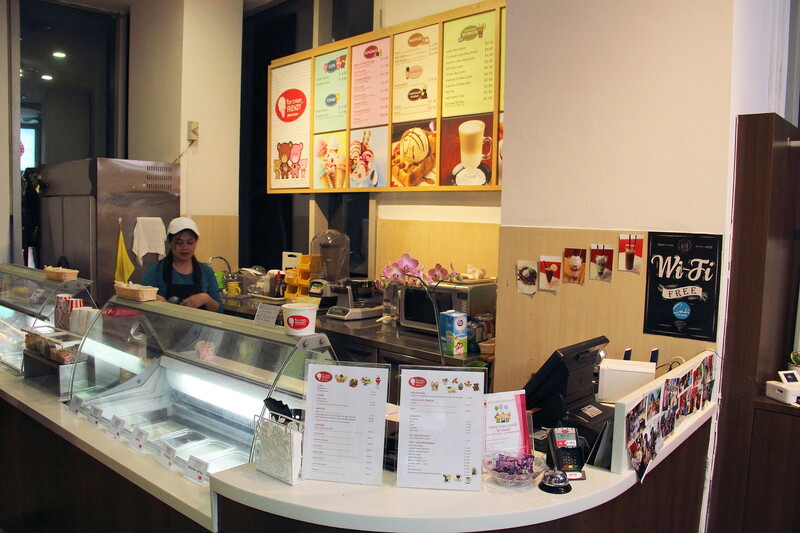 The ice cream palour really looks promising with its interior design and spacious space. Unfortunately, the ice cream itself is not up to standard. It really tasted like I was having those Wall's or King's ice cream but charged a premium price. 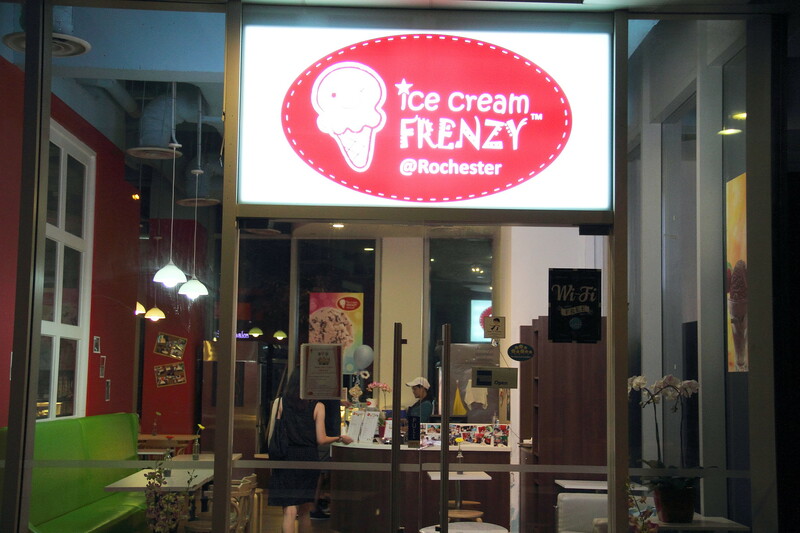 Unless ice cream frenzy changes their recipe or supplier, I won't not patron it again.